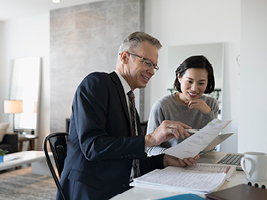 While there are many pros and cons for you and your clients to consider when deciding whether to hold their insurance portfolio in or out of a superannuation fund, opting to have their insurance cover within a superannuation fund has increasingly become a more popular choice within the industry. This has also been the case at AIA, with over 49% of Life and TPD premium and 39% of Income Protection premium in 2018 being submitted to AIA via superannuation. Clients only holding interim cover while waiting for premium. Additional payment may be required by the incumbent insurer (or a double payment of premiums), while waiting for the new policy’s premium via a rollover. This is an issue that may arise should an adviser review and recommend a different insurance policy. Delay in revenue to your business either via payment from the client on completion of the advice or via receiving remuneration from the insurer. Potential increase in the ‘cost to serve’ your client due to continual follow up to ensure that the rollover is being processed in a timely manner. At AIA we believe that Superannuation rollovers shouldn’t be cumbersome, and we’ve tried to minimise the unintended consequence by reducing the policy payment period. Using the Priority Protection policy in which once AIA has issued the policy we will place your client’s policies on risk and remunerate you immediately when issuing the schedules, while we await the rollover from the client’s nominated Superannuation fund. This is a fantastic alternative which also reduces your client’s risk, and allows a degree of certainty for you as the financial adviser. “It’s again a reflection of AIA’s support in ensuring that our product development can cater for the needs of our advisers’ clients,” stated Steven Baxter – Acting Head of Product - IFA. “By building flexibility in choice, it’s ensured that we’re supporting advisers with quicker processing, risk protection for clients and remuneration for advisers. This will help in the current environment by reducing the cost to serve, while getting paid quickly for their services,” says Steven Baxter. Should you have any questions or need further training about our superannuation products or processes, please don’t hesitate on contacting your local CDM or CDA for further information.